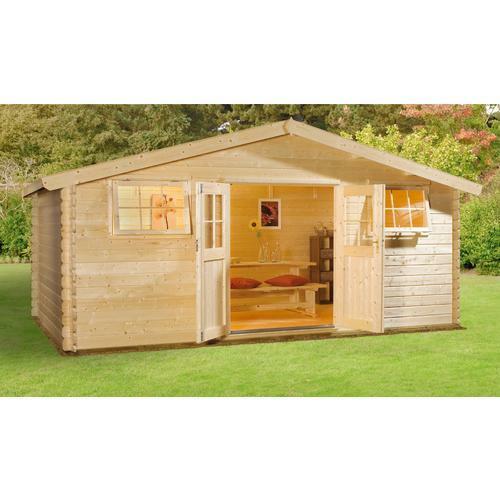 The suppliers we have visited, and found these great deals from, have a variety of different styles and materials from the traditional log cabin to the modern architect designed pent home offices. The Chatsworth Cabin with is a garden room and retreat. 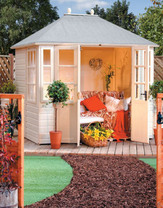 With two fixed and two opening windows, as well as locking bi-fold doors, it's a reasonably priced summer cabin. It incorporates a tongue and groove floor and toughened glass. 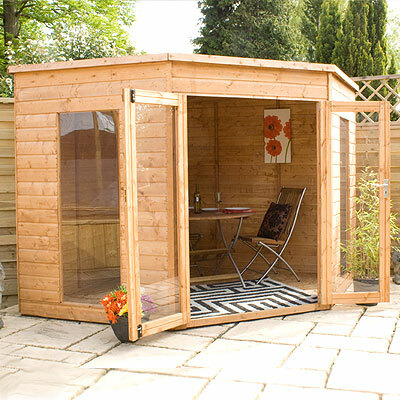 At less than £700, the Mercia Corner Summerhouse at 8ft x 8ft in size is very good value if you are looking for a garden room or outdoor cabin. 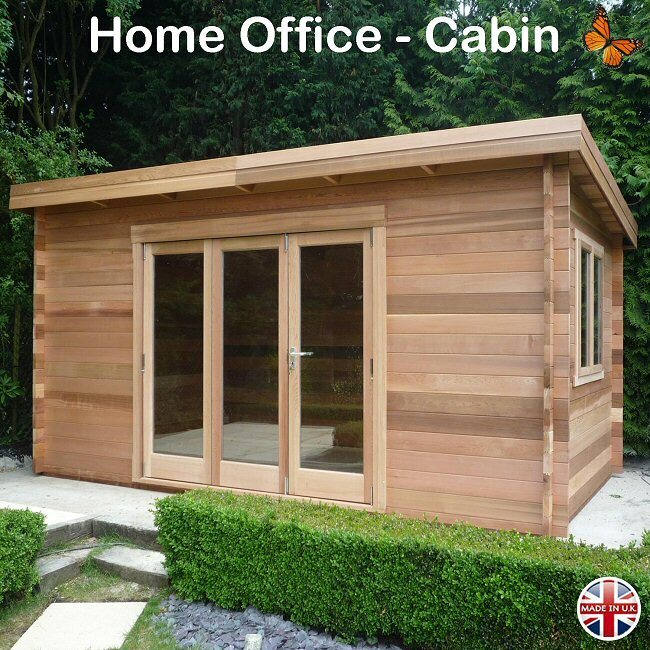 At £3250 the Pent Cabin Home Office, made from 44mm Premium Quality Timber, provides a modern and striking looking variation on the traditional garden building look.